Antagonist of the first Cardcaptor Sakura movie. 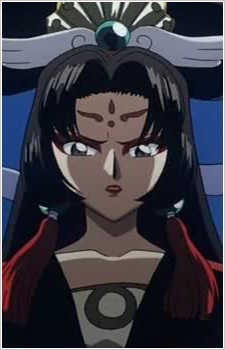 Was a water fortune teller whose business was put under by Clow Reed&#039;s more accurate fortunes. She challenged Reed to many fights, but never resolved her conflict with him. When she died, she bound her soul to a book and remained alive inside of it for centuries waiting for her chance to see Reed again. As it turns out, she isn&#039;t waiting for a chance to kill Reed, but is actually in love with him.